Personal Loans vs. Car Loans: What’s the Difference? 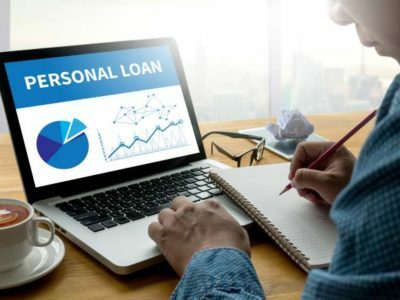 More and more Americans are turning to personal loans. In June 2018, the total value of consumer unsecured loans was $1,472.8246 billion in the U.S. alone. Common reasons for taking out a loan include paying utility bills, managing daily cash flow, making home improvements, and more. Personal loans can be used for just about any purpose, including the purchase of a new car. In this case, you might wonder whether to request a personal loan or an auto loan. Both options have their perks. Choosing one over another comes to your needs. Therefore, it’s important to understand the similarities and differences between the two. Interested to find out more? Here is what you should know about personal loans vs. car loans. This type of loan has no restrictions on what the money is used for. Whether you want to buy a car, go back to school, or consolidate debt, you’re free to do it. Additionally, the application process is a lot easier and faster. Unlike auto loans, personal loans don’t require collateral. The bank or financial institution will assess your credit score to determine whether or not you qualify for a loan. The downside is that you’ll pay higher interest rates. However, you can also opt for a secured personal loan. In this case, you may use your home, car, and even your savings as collateral. Both secured and unsecured loans are offered by banks, credit unions, online lending companies, and online lenders. In general, banks have the strictest requirements, while online lenders are the most flexible. Credit unions usually have lower rates and accept applications for borrowers with bad credit. How much you can borrow depends largely on your income. Most lenders will require you to have a stable or a steady source of revenue. They may able to offer you anywhere from $1,000 to $50,000. Regardless of the type of loan, your credit score matters the most. The better it is, the more money you’ll get and the less you’ll pay in interest. Conversely, bad credit will result in higher interest rates and less money in your pocket. If your request is approved, you will have to pay back the loan within 12 to 60 months. Some lenders have longer repayment periods but charge higher interest. Beware that paying off your loan too early may result in penalty fees. Even though you can request a personal loan for car payments, this may not necessarily be the best option. When it comes to personal loans vs. car loans, your credit history has the biggest impact. Interest rates for both types of loans are based on your credit score. If you have bad credit, auto loans may a better choice. Since they are secured against your vehicle, they have lower rates. Purchasing a car, whether new or used, is a major decision. For most people, a personal vehicle is their second largest investment after their home. In fact, over 54 percent of used car purchases and 85 percent of new car purchases are financed. No one expects you to pay cash for a car. Therefore, you must assess your options and decide whether you should request a personal loan or an auto loan. With an auto loan, your lender pays for the car on your behalf and allows you to pay it back over several years. Interest rates will depend on the amount of money borrowed as well as on your credit score. They also vary from one lender to another. The longer the repayment period, the higher your interest rates will be. Your monthly rates are going to be lower, but you’ll pay more in interest over the course of the loan. The loan amount can be equal to or lower than the value of your car. For example, if you want to buy a vehicle that costs $50,000 and you already have $20,000, the lender will cover the difference. In this case, your monthly rates will be lower. When requesting an auto loan, it’s necessary to provide information about the make and model of the car you’re interested in. Since your vehicle serves as collateral, you cannot use the money for other purposes. Personal Loans vs. Car Loans: Which One Is Right for You? As you see, both types of loans are suitable for buying a personal vehicle. The difference lies in the details. If you don’t qualify for a car loan, taking out a personal loan could work. In case you opt for a secured personal loan, you may put your new car as collateral. Beware that car loan requests take longer to process. Plus, you need to provide extra information and fill out extensive paperwork. Personal loans, by comparison, are much easier to obtain. With an auto loan, you can pay back the money over a longer period of time. If you obtain a personal loan, you’ll have to pay it off faster. In both cases, a shorter repayment term equals higher monthly rates. Even though it takes longer to get an auto loan, you’re more likely to be approved. Lending criteria for this type of loan are usually more flexible compared to those of a personal loan. After all, you’re using your car to guarantee payment. If you choose this option, you may need to make a deposit to secure the loan. Your car may not be enough, especially if you have less than stellar credit. Also, you will only have title to the car once the final repayment is made. Not too long ago, personal loans were difficult to obtain by consumers with bad credit. Today, things are a little bit different. Due to the tight competition in the industry, increasingly more lenders are serving clients with a poor credit score. Not all loans are created equal. Take the time to compare lenders and shop around for the best deal. Check online lenders, banks, and credit unions. If you’re interested in a car loan, visit local dealerships. They often offer loans and vehicles under one roof, so you should ask about it. If your credit score is too low, you may not have too much success with banks. In this case, online lenders are your best bet. Many of them provide unsecured personal loans for customers with bad credit. Also, compare the payment terms and interest rates available at different lenders. Don’t just go blindly for the first one who makes you an offer. Ideally, choose a lender that has no penalty fees for early repayment. Make sure the application forms are clear and simple. With proper research, you could find a loan that requires no minimum credit score. Bad credit equals higher interest rates. The best way to get lower monthly payments on your loan is to improve your credit score and keep it healthy. Ideally, you should bring it above 760; this will increase your chances of receiving the loan you need. First, request a credit report from Experian, Equifax, and TransUnion once a year. This process is free and can help you identify potential errors. Always pay your bills on time. This includes phone bills, electricity bills, water bills, and so on. Your payment history can make or break your credit score. In fact, your credit rating can drop by over 200 points if you miss a single payment. Another way to improve your credit is to eliminate credit card balances. When you’re done, pick one or two cards to use on a regular basis. Beware that having no credit history at all can hurt your chances of getting a loan. Plus, it may result in higher interest rates. Lenders want to make sure you’ll pay on time, which is hard to prove if you have no credit little or no credit history. To build up your credit, open a bank account. Consider getting a credit card and pay it off in full each month. This will help you improve and maintain your credit score. You can also take smaller forms of credit, such as store cards or payday loans. Again, the key is to make sure you pay everything on time. As a rule of thumb, don’t borrow more than you need. Now that you know how to get competitive rates on personal and auto loans, decide which option is right for you. Assess your credit score, shop around for a good deal, and compare multiple lenders. Remember, new cars depreciate in value within months. A used vehicle might be a better option. Plus, it will be less expensive, so you’ll need a smaller loan. For convenience and flexibility, a personal loan is your best bet. If you’d rather prefer low interest rates, auto loans are a viable option. When it comes to personal loans vs. car loans, you’re the only one who can decide. Bonsai Finance can help you find a lender that suits your needs. Visit our Learning Center or contact us to find out more! Are There Payday Loans for SSI and Other Federal Benefit Recipients?